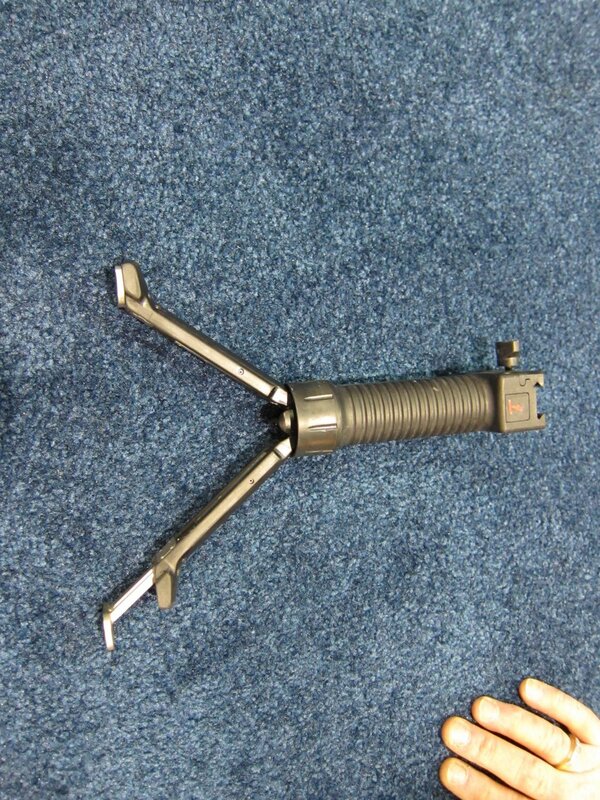 Grip Pod System (GPS02 Military Model) Gets Independently-Extendable Legs! | DefenseReview.com (DR): An online tactical technology and military defense technology magazine with particular focus on the latest and greatest tactical firearms news (tactical gun news), tactical gear news and tactical shooting news. We here at DefenseReview make no secret of being big fans of the Grip Pod System vertical foregrip / instant-deploy bi-pod / weapon stabilization system. 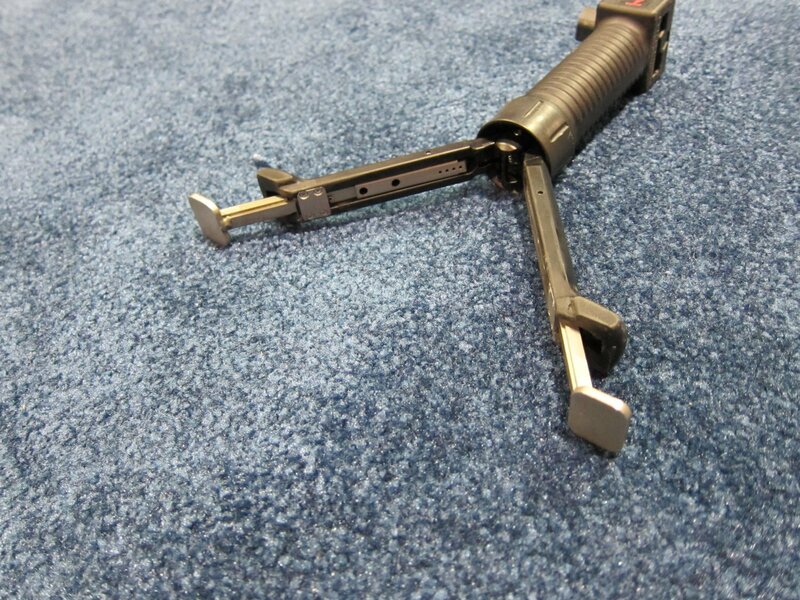 The Grip Pod gives you a a very strong and utilitarian 7-ounce vertical foregrip that, with the push of a button, instantly becomes a bipod/weapon stabilization system, allowing the operator/user to quickly go prone and immediately start firing from a stabilized platform that is also very strong. The military-model Grip Pod (Model GPS02) can easily handle a 200+-lb (200+-pound) man standing on the weapon with the Grip Pod legs deployed on solid ground. In other words, it’s pretty strong. The Grip Pod is also very utilitarian. Defense Review contributor Chen Lee discovered this last year. Lee had to experience the Grip Pod for himself in order to become a convert. According to him, it took actually using one to realize what a great tactical rifle/carbine accessory the Grip Pod really is. Lee wrote about his Grip Pod odyssey last year for DefenseReview. Few people are aware that Grip Pod Systems has actually developed an extendable-leg version of the Grip Pod System GPS02 (military model Grip Pod System) for deployment on uneven terrain and even more ground clearance if/when necessary. 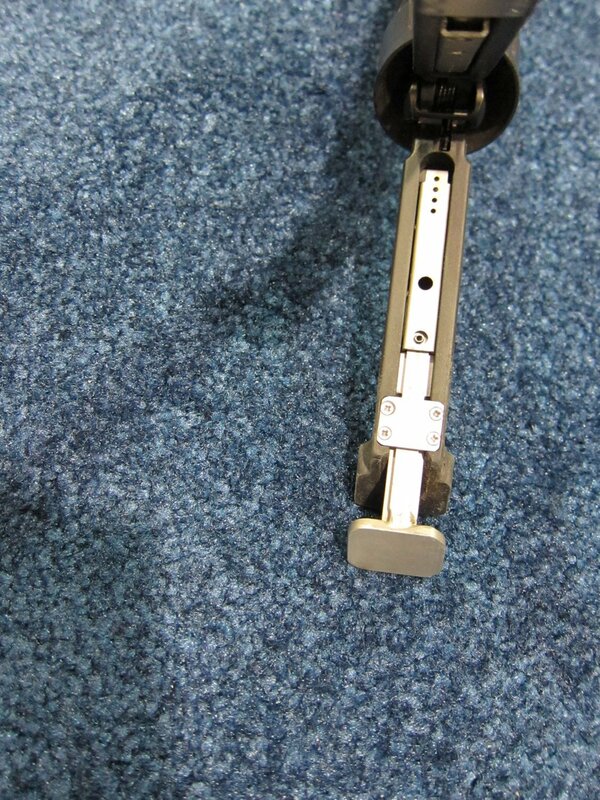 The hardened stainless-steel extendable legs are independently extendable, and are extended manually. The user can thus extend either one or both legs, depending on his/her requirements. 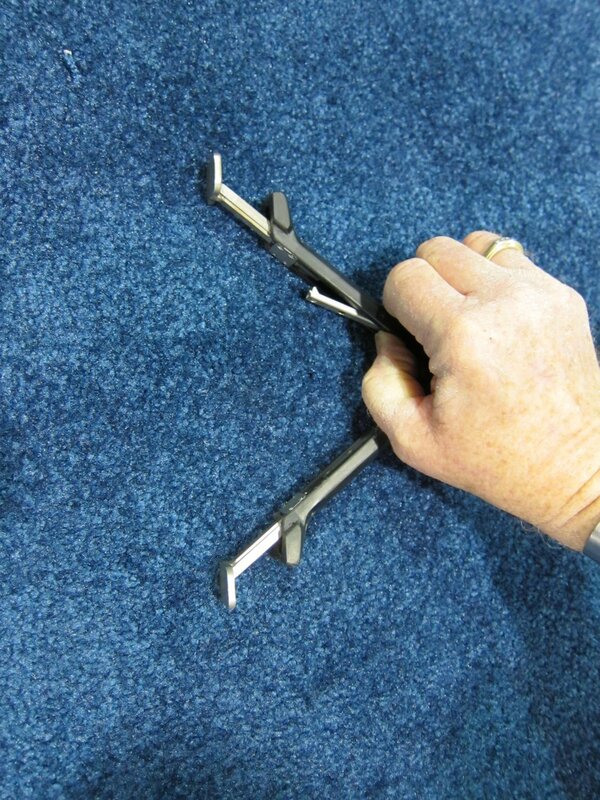 The legs have index holes, so you can adjust the length of extension according to the surface you’re on–and you can do it one-handed. 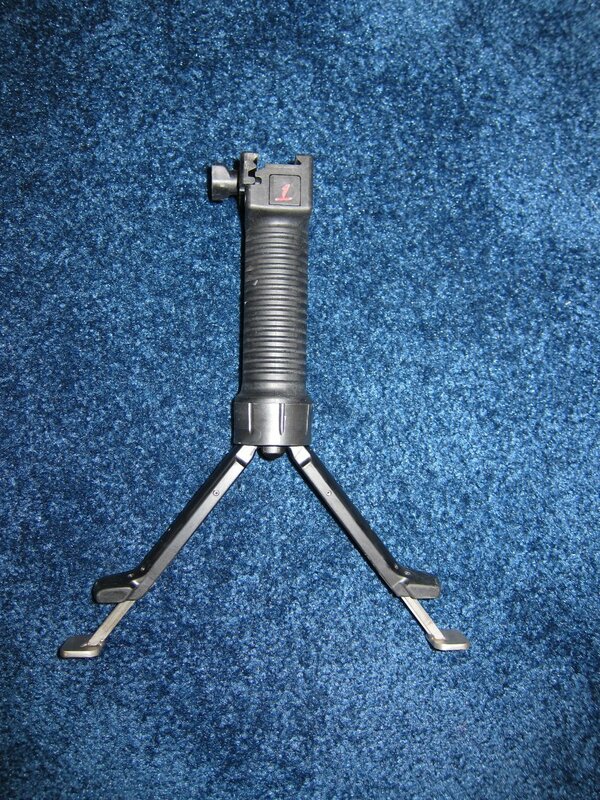 The extendable-leg Grip Pod can handle the same weight as the standard military model Grip Pod GPS02 (200+ lbs). 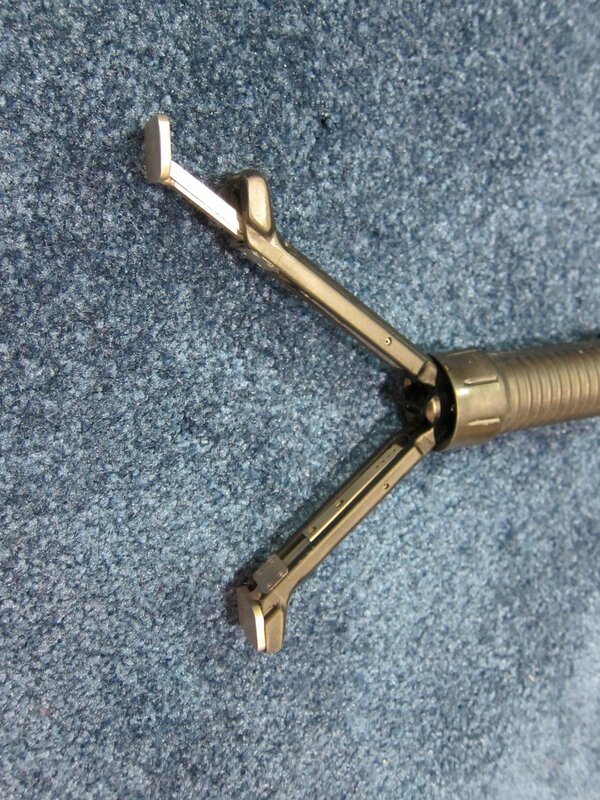 The extendable-leg military-model Grip Pod operates/deploys just like the standard GPS02 military-model Grip Pod until and unless you need to extend the legs manually. In other words, the extendable legs don’t deploy via the initial push-button leg deployment. One of the photos below shows the manual leg-extension procedure. Noted gunwriter Gary Johnston a.k.a. 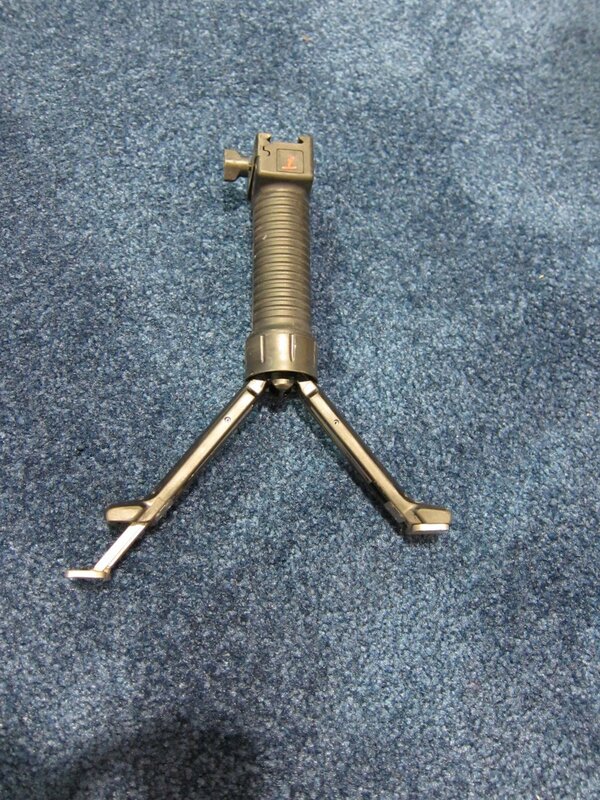 Gary Paul Johnston had an extendable-leg Grip Pod with him at SHOT Show 2010, and he was kind enough to let Defense Review shoot some photos of it. 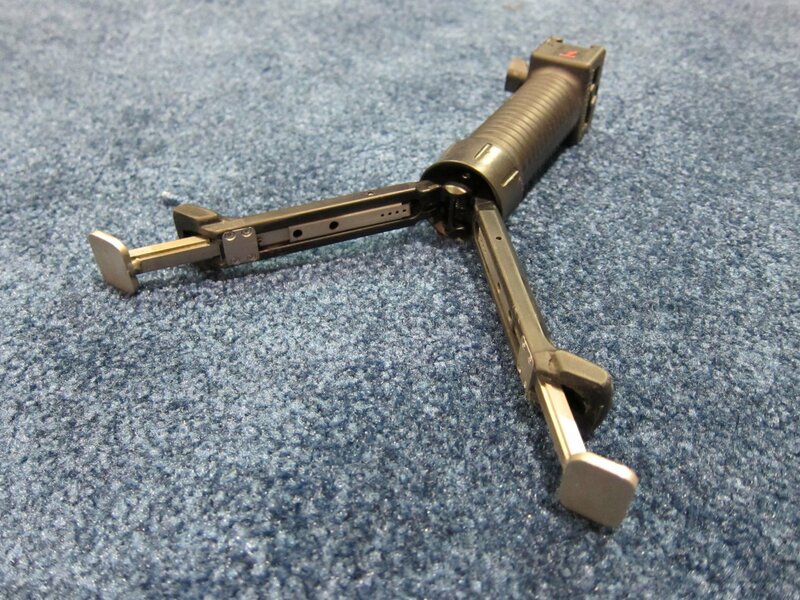 DefenseReview spoke with Grip Pod Systems President and CEO, Joe Moody, about the extendable-leg military-model Grip Pod, and he informed us that they may produce it in limited runs in the future, based on market demand. 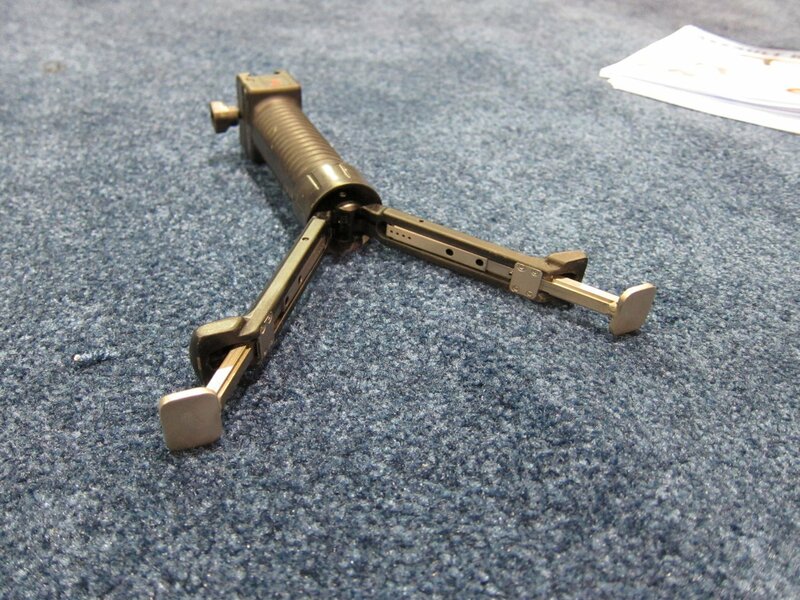 They can also potentially offer the extendable legs by themselves as an upgrade kit for any existing GPS02 model (military model) Grip Pod, based on market demand. DefenseReview is interested to know what our readers think, and whether or not this is something you’d like to see Grip Pod Systems offer for sale. Previous: DefenseReview Updates Its Publishing Software and Gets a New Look.